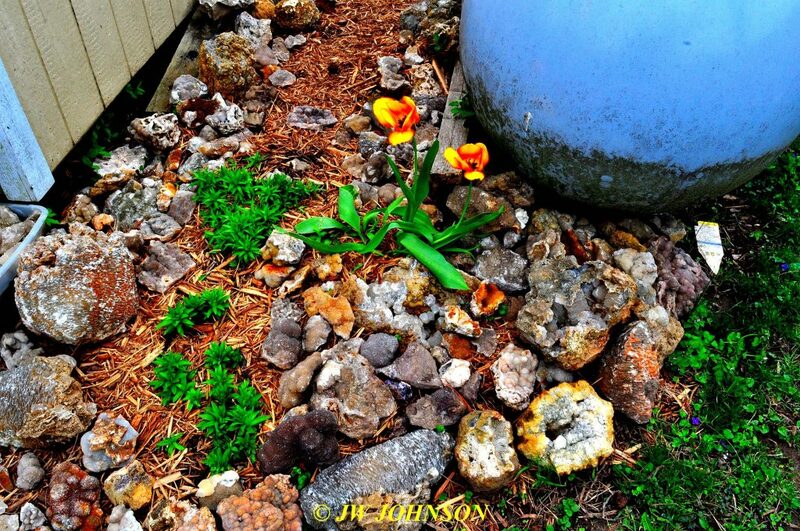 …and as you can see, it mainly contains yard rocks…and some lillies at the top and on the west side as well….where my propane tank sits, I have Eminence yard rocks and some hybrid tulips…. 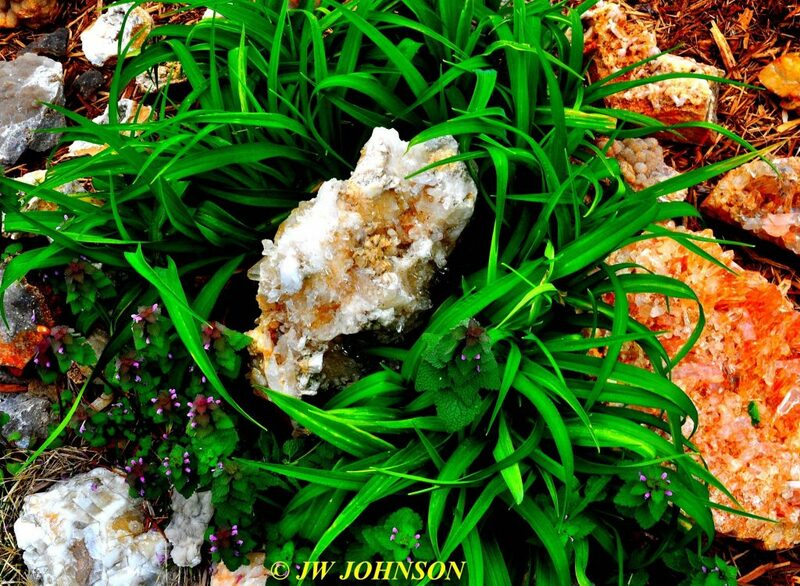 the garden on the east side of the shed contains more flowers but starts near the shed door with a bed of lillies surrounded by a variety of beautiful crystals…. 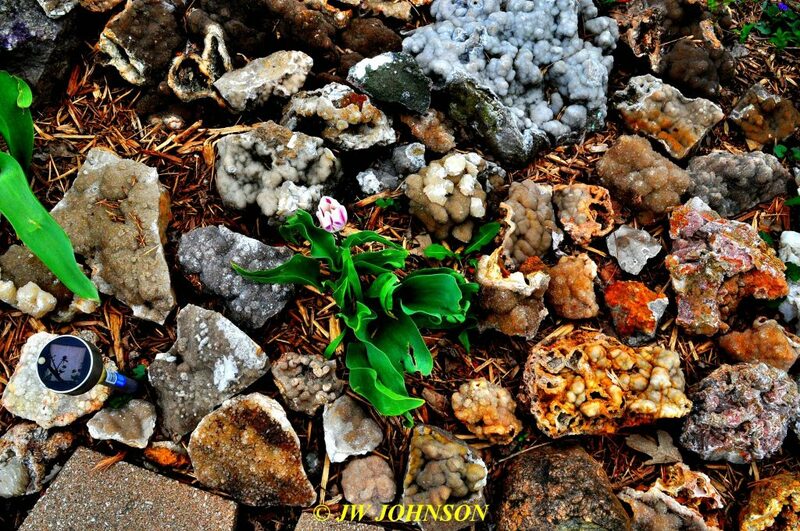 and on the far side of that garden is another bed of lillies surrounded by quartz clusters…. 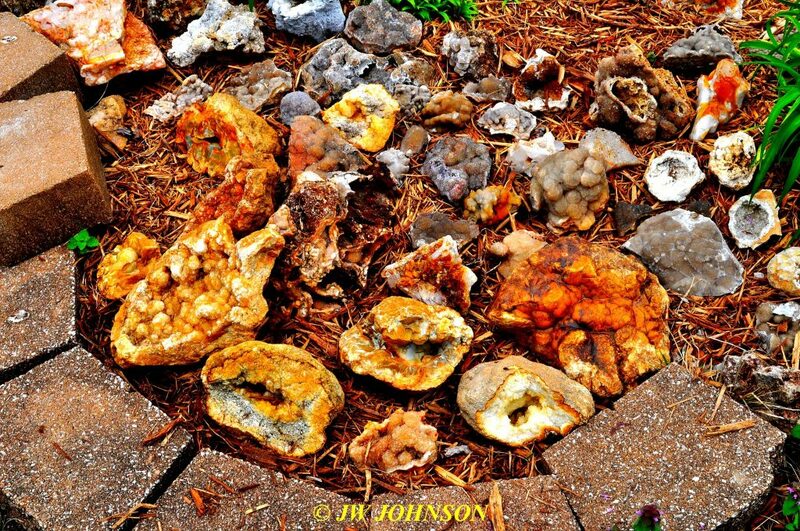 and just a little ways away in the curve of that garden is a nook of geodes…. 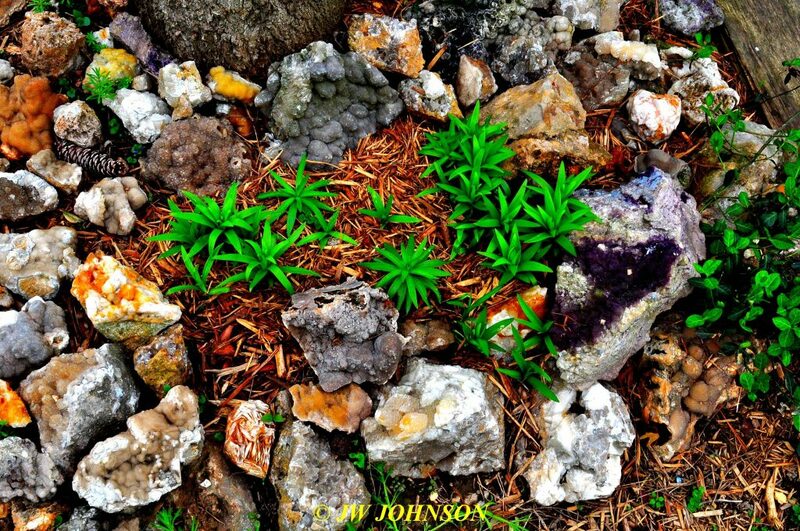 …and more hybrids in yet another garden…. 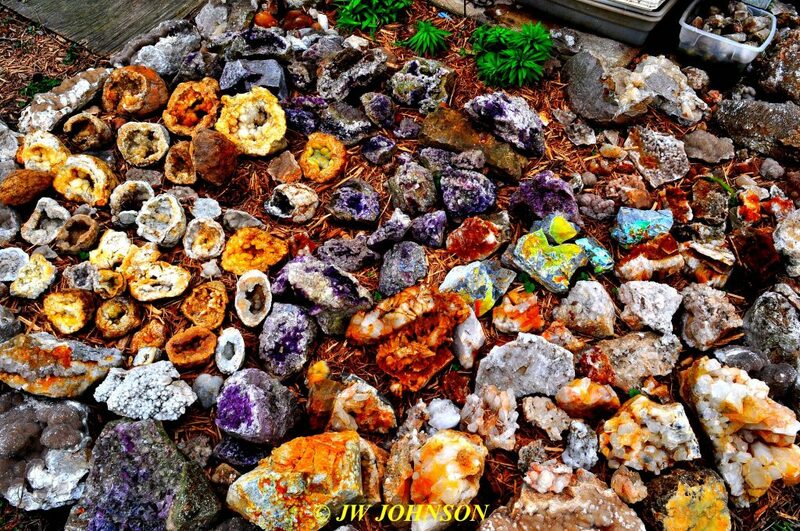 This entry was posted in Arkansas Quartz, Arkansas Wavellite, Chocolate and Green Poker Chips, Clement Fluorite, Diamond Hill Quartz, Druse and Poker Chips, Druse Quartz, Eureka Mine Fluorite, Geodes by jwj. Bookmark the permalink.